My son Daniel has been living in Jakarta for many years now. One day I told him I wanted the family to be together again. He came up with this idea of a restaurant. 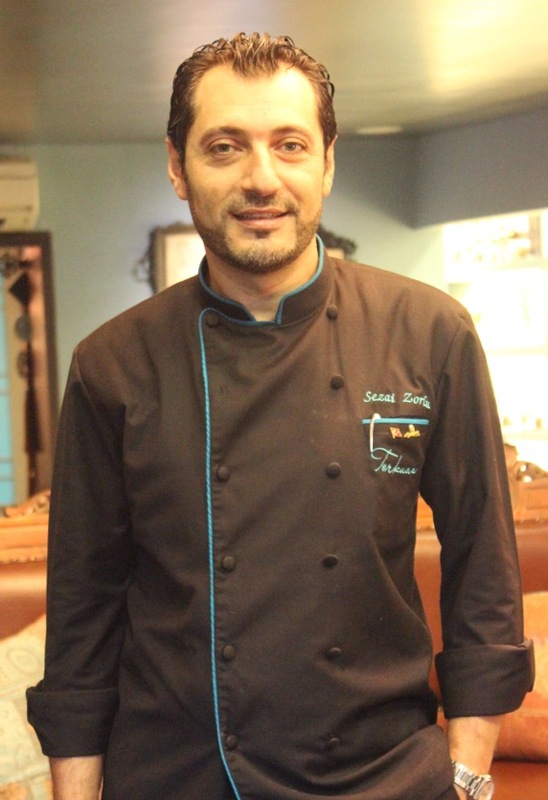 At first I was supposed to come only for a few months just to teach my recipes and train the staff, but I decided to stay. Marsala, a sweet Italian wine; it is just impossible to find here. 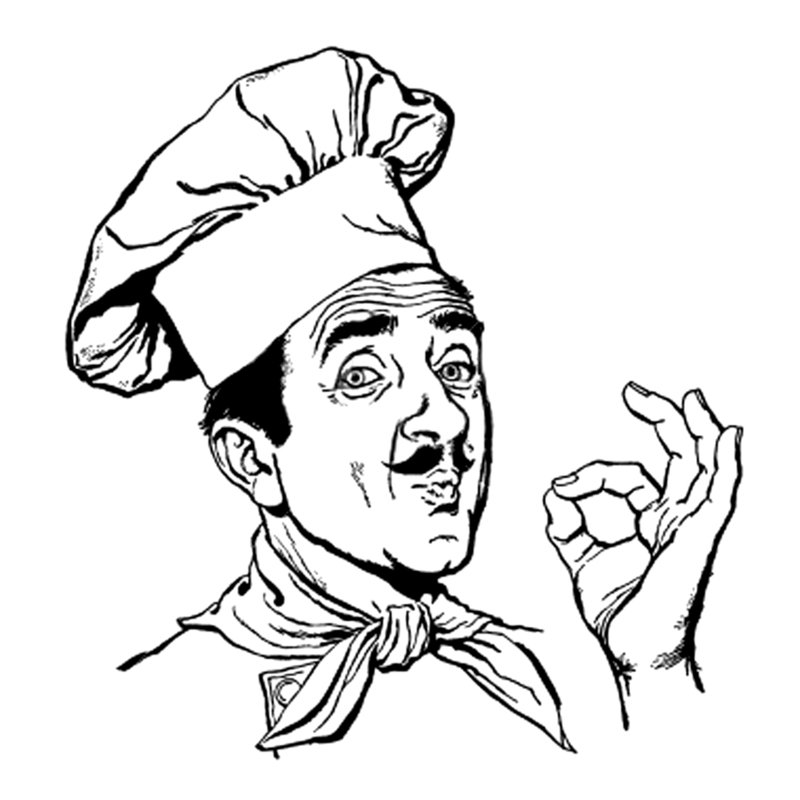 Anything with pesto, which is freshly made every two or three days, with carefully chosen basil leaves from Bandung. If you haven’t been to Mamma Rosy yet, stop whatever you are doing and go there! It is absolutely delicious and in my opinion, one of the best Italian restaurants in Jakarta. Our order of burrata served with pesto and spices; salmon carpaccio with lemon, black pepper and marjoram served with fresh tomato chunks and goat cheese; pesto lasagna with bescamellia cheese and parmesan; and pizza with gorgonzola cheese and bacon was delicious. The wine list offers a diverse choice of good Italian wine at fair prices. You can either sit on the very cool terrace overlooking Kemang’s main street, near a calming fountain, or inside within air-conditioning. If you sit near the kitchen you will probably be able to sneak a peek at Mamma Rosy working away. 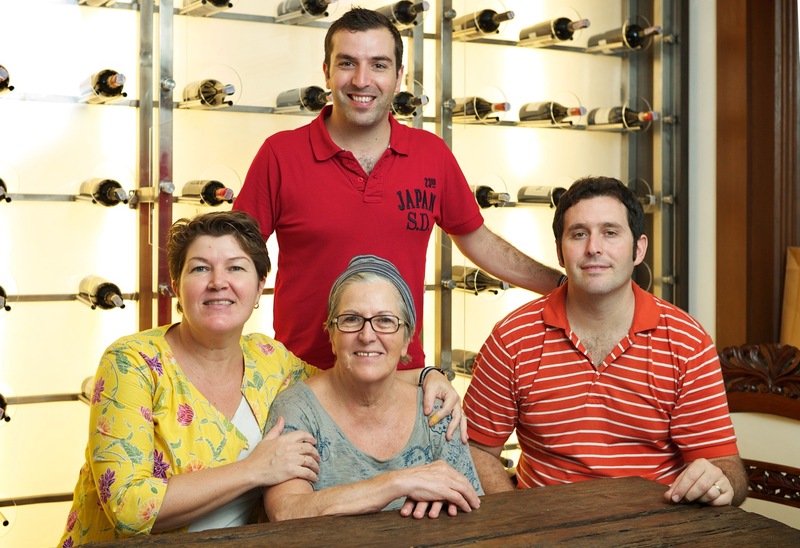 But Mamma Rosy is a family story and you will also meet her son Daniel, her daughter Stefania and her son-in-law Rodolpho, who will all welcome you as if you were part of the family. Exactly what we expect from an Italian trattoria! Where were you before Cassis? I was the owner of a restaurant in France: Le Cilantro (1 Michelin star). It is not one single ingredient but different ingredients: one day it is available, the next it is gone. The degustation menu which changes every month allows you to taste a bit of everything. 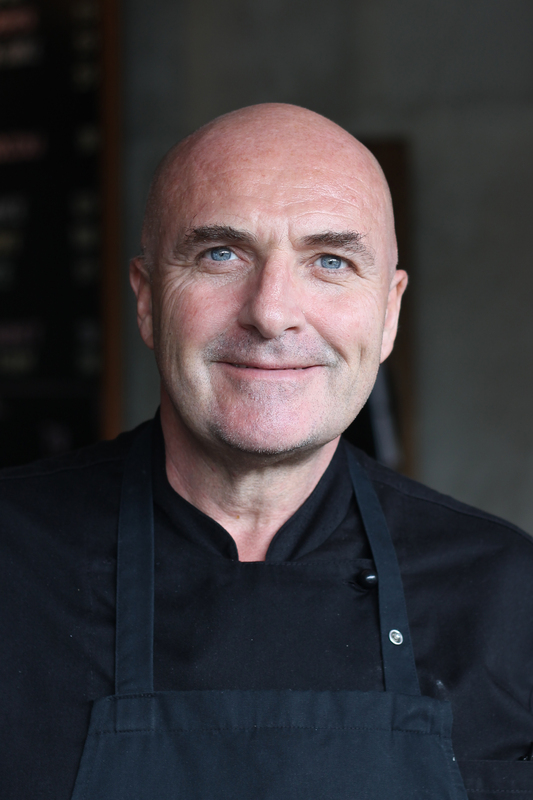 Michelin-starred Chef Jérôme Laurent is a friendly, passionate culinary artist from Arles, in the south of France. After working in world-class restaurants and opening his own, he needed another kind of adventure, so he decided to move to Jakarta with his family. From his home region of Provence, he brought a light French cuisine to Cassis, featuring fresh fish, seafood, delicate meat and he is particularly fond of shaved truffles. If you’re not tempted by the degustation menu, I recommend the white asparagus veloute, ricotta and goat’s cheese and the seared black cod, truffle vegetable blanquette, snow pea and arugula. The deserts are fantastic. Cassis is a chic, fine dining French restaurant. The decor is refined and the service surpasses what you may find in many restaurants in Jakarta. For a romantic night out. A friend asked me to come more than 15 years ago and I have stayed since then. Where were you before KOI? I was managing my own restaurant in Belgium. 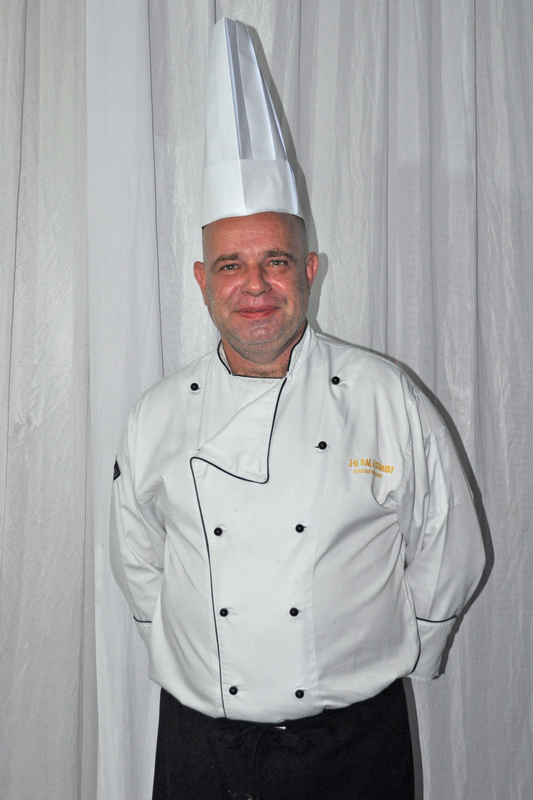 Chef Benoit Claeys adopted Jakarta as his second home more than 15 years ago and he is now a part of it. He is well known among the expat community who frequent the two KOIs: Koi Kemang and Koi Mahakam. We met him at Koi Kemang, where he greeted us with a strong hand shake and laughter. Koi is a casual, trendy bistro with chalkboard menus hanging on the walls and a European brasserie style. The place is always busy, therefore reservations are strongly recommended, but you can always find a seat at the bar or on the terrace. The menu is a hybrid, offering French bistro food and Asian dishes. I recommend the ‘À la minute’ smoked salmon salad and the beef tartare. For breakfast, lunch dinner with family or friends—with or without kids—KOI has a little something for everybody. 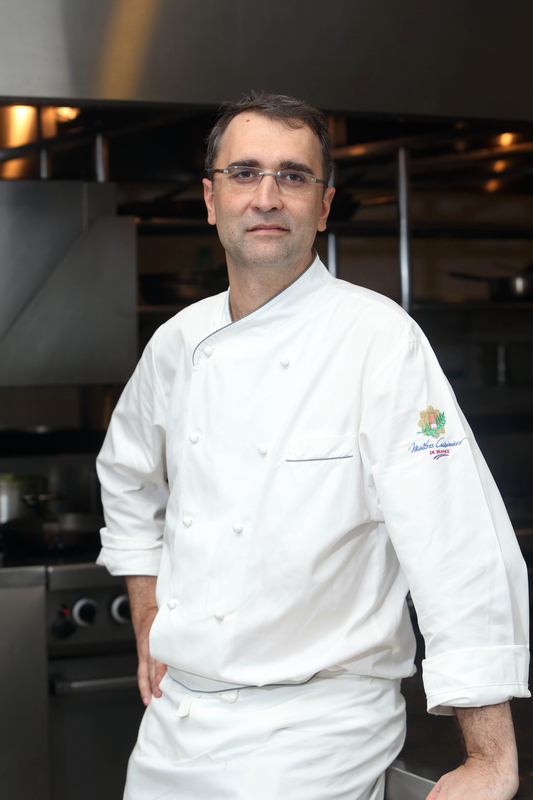 I had the opportunity to move to Indonesia more than 15 years ago now, to introduce Turkish cooking to Jakarta. Since then, I have had the unbelievable chance to cook for high profile people such as ambassadors, ministers and presidents of Indonesia and finally, realize a dream of mine to open my own restaurant. Where were you before Turkuaz? I was in Singapore running four restaurants with my father. Most ingredients are available in Jakarta. However, we import some key ingredients such as tahini directly from Turkey. Chef’s Signature Lamb Shank Dishes. It is an original recipe from my village, overnight wood oven-baked, fork-tender shank of lamb with home dried herbs and spices. Turkuaz is one of the favourite spots among expatriates in Jakarta. Chef Zorlu and his wife Yanti have been on-the-nose on several things; the restaurant is very pretty, the location is great, the food is really authentic and the service, which is normally the bête noire of restaurant owners in Jakarta, is good! I love the Bademli Balik, pan-grilled fillet of dover sole with roasted almond and paprika trio and the classic mezze platter, consisting of hummus, babaganush, cucumber, tomatoes and walnut salad with pomegranate sauce, extra virgin olive oil, spinach, cheese borkek and bread. There is no visit to Turkey without baklava and Turkuaz’s baklava alone are worth the trip! I am married to an Indonesian woman and I got an opportunity to join Hacienda as the Executive Chef and Operations Manager in 2009. Where were you before Hacienda? 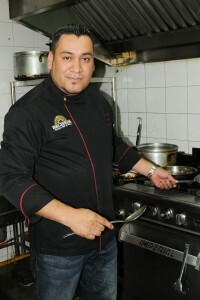 Before coming to Jakarta, I worked as a chef and manager in different restaurants in Mexico and the United States. What ingredient is the most difficult to find in Jakarta? Hacienda is not your generic neighbourhood Mexican restaurant. The ambience of this restaurant is convivial and the quality of the ingredients brings it to a completely different level. Chef Gerardo brought his unique savoir-faire from Morelia city in Mexico and created a menu that will surprise every palate. I recommend starting with the sharing table-side guacamole, which is made in front of you with carefully chosen avocados and tomatoes, fresh herbs spices and chilli. For mains, I second Chef Gerardo and recommend everything with chilli pasilla, imported from Mexico. The quesadillas with your choice of filling accompanied by homemade guacamole and pico de gallo and sour cream are a must. Desserts are a not my favourite, but that is not why one goes to Hacienda: happy hour is! Where were you working before here? Thailand. I have worked in 11 countries. I worked in Bali 10 years ago. I already knew Indonesia very well and I was looking forward to coming back. What ingredient is the most difficult to find here in Jakarta? Squid in black ink sauce. Plan B is a cool, casual Spanish Bistro located in Senayan, in an interesting block where there are sidewalks and large streets. The concept is young and cool; seats are covered with jeans and walls with newspapers. 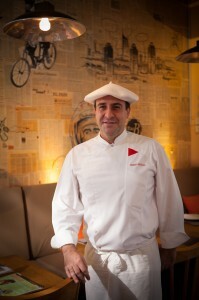 The menu is simple and offers typical Spanish food: tapas and paellas. I loved the egg and chicken croquettes, the broken egg with beef chorizo, potatoes and red pepper sauce and the prawns sautéed with garlic and parsley. But the best thing about Plan B is the friendly owners who take the time to greet each guest and make sure everything is to their liking. The next best thing about Plan B, but not the least, is the good and reasonably priced wine list. The sommelier’s recommendation: Paternina Banda Roja Reserva 2008 – purely delicious for Rp.400,000! Another pro is that the dining room is non-smoking and there is a cute little terrace outside.